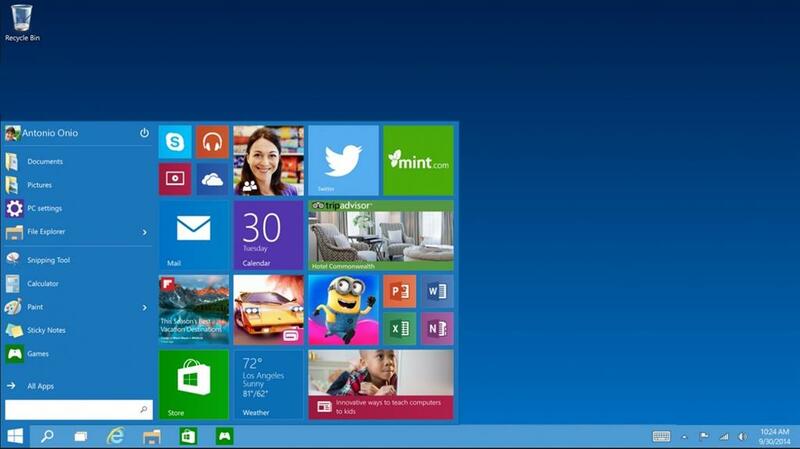 The Microsoft Windows 10 operating system is so familiar and easy to use, you'll feel like an expert. The Start Menu is back in an expanded form, plus your pinned apps and favourites are brought over so they're ready and waiting for you. It starts up and resumes fast, has more built-in security to help keep you safe, and is designed to work with software and hardware you already have. It also comes with great built-in apps like Maps, Photos, Mail and Calendar, Music and Films and TV -Make the web work the way you do with the latest browser called Microsoft Edge that lets you move quickly from browsing to doing. Write or type notes directly on web pages and share them with others, read online articles free of distraction and save your favourite reads for convenient access later. Get to done faster by better managing your desktop. Snap up to four things on one screen at the same time and create virtual desktops whenever you need more space or want to group things by project, like Office apps for work and games for play. It's the Windows OS you know, only better. 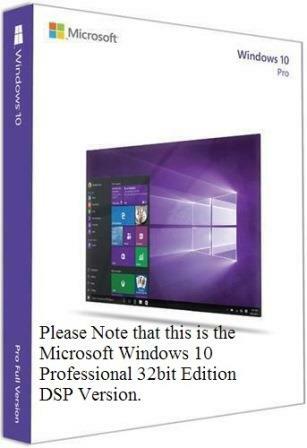 –Please Note that this is the Microsoft Windows 10 Professional 32bit Edition DSP Version. The Microsoft Windows 10 operating system is so familiar and easy to use, you'll feel like an expert. The Start Menu is back in an expanded form, plus your pinned apps and favourites are brought over so they're ready and waiting for you. It starts up and resumes fast, has more built-in security to help keep you safe, and is designed to work with software and hardware you already have. It also comes with great built-in apps like Maps, Photos, Mail and Calendar, Music and Films and TV -Make the web work the way you do with the latest browser called Microsoft Edge that lets you move quickly from browsing to doing. Write or type notes directly on web pages and share them with others, read online articles free of distraction and save your favourite reads for convenient access later. Get to done faster by better managing your desktop. Snap up to four things on one screen at the same time and create virtual desktops whenever you need more space or want to group things by project, like Office apps for work and games for play. It's the Windows OS you know, only better. –Please Note that this is the Microsoft Windows 10 Professional 64bit Edition DSP Version. Microsoft Windows 10 Home 32/64 Bit Edition - USB Media, DSP , No Warranty on Software. It’s the Windows you know, only better.Familiar and better than ever.Windows 10 is familiar and easy to use, with lots of similarities to Windows 7 including the Start menu.It starts up and resumes fast, has more built-in security to help keep you safe, and is designed to work with software and Windows 10 is familiar and easy to use, with lots of similarities to Windows 7 including the Start menu. 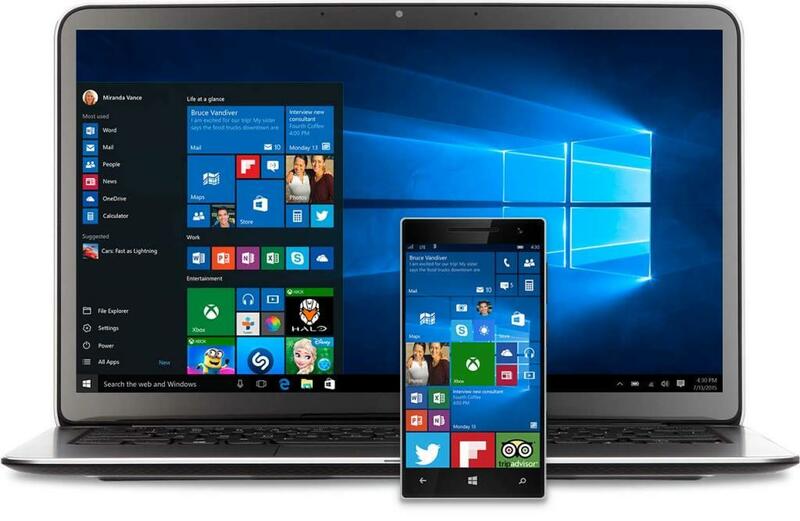 Windows 10 works seamlessly across all your devices. Start writing a document on your PC at the office, continue on your phone at the coffee shop, then finish up on your laptop at home. With Windows 10, you can pick up right where you left off.Get faster start-ups; a familiar yet expanded Start menu; and great new ways to get stuff done even across multiple devices. The Microsoft Windows 10 Home Edition is an operating system is so familiar and easy to use, you'll feel like an expert. The Start Menu is back in an expanded form, plus your pinned apps and favourites are brought over so they're ready and waiting for you. It starts up and resumes fast, has more built-in security to help keep you safe, and is designed to work with software and hardware you already have. Another feature of Windows 10 Home is the ability to neatly snap up to four applications side by side so you can clearly view the content. In addition to this, you can create multiple virtual desktop workspaces that contain different apps pertaining to your work or entertainment. 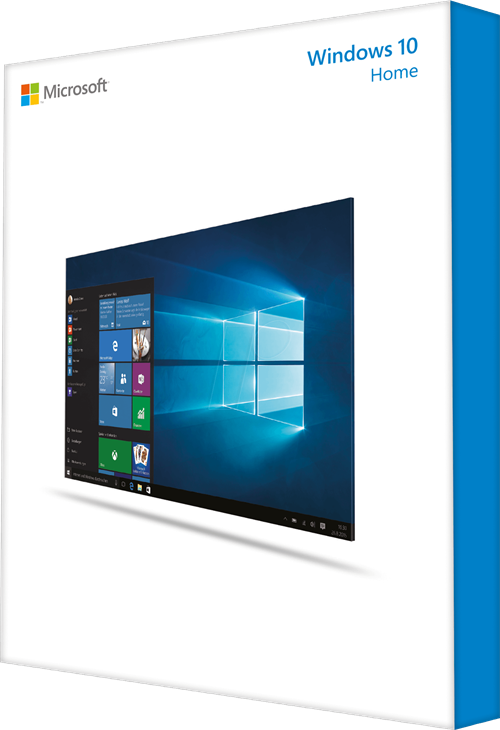 Included along with Windows 10 Home are apps such as Maps, Photos, Mail & Calendar, Music, Video, and the Windows Store for additional content. Make the web work the way you do with the latest browser called Microsoft Edge that lets you move quickly from browsing to doing. Write or type notes directly on web pages and share them with others, read online articles free of distraction and save your favourite reads for convenient access later. 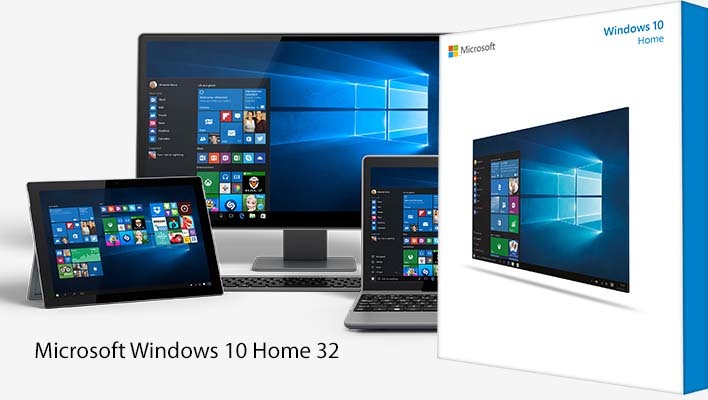 Built with the strengths of Windows 7 and Windows 8, Windows 10 Home combines the best features of both engines to remain compatible with nearly all your peripherals and the computer's internal components. Furthermore, it offers a similar design to the previous version of Windows OS you know, only better, so you can easily start using Windows 10 Home right away. 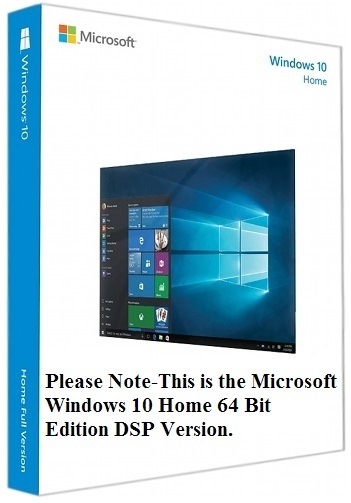 –Please Note that this is the Microsoft Windows 10 Home 64 Bit Edition DSP Version.